This statistic shows the results of a survey concerning the revenue expectations of online retailers for the following 12 months in Germany. 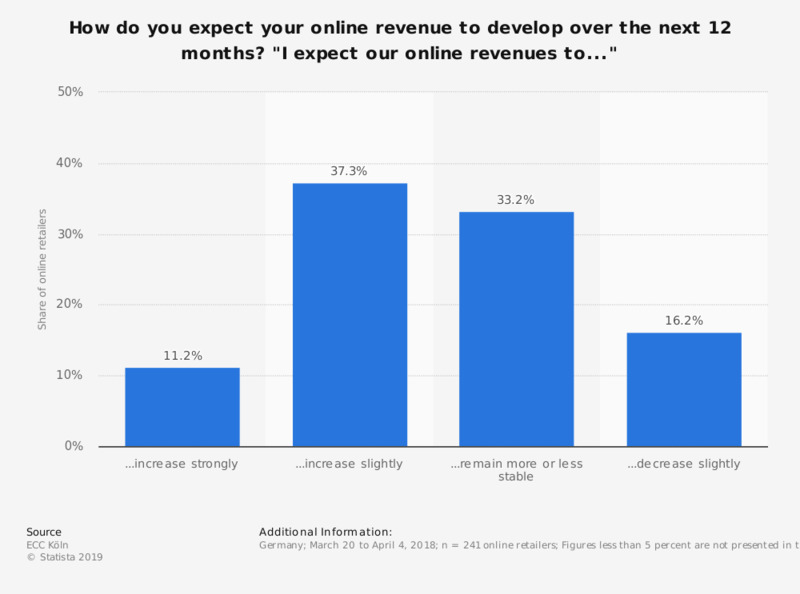 During the survey period it was found that 33.2 percent of respondents expected their online revenues to remain stable during the coming year, while 16.2 percent expected their online revenues to decrease slightly. Figures less than 5 percent are not presented in the graph. What is the biggest challenge your organization is facing when it comes to B2C e-commerce?